Their fiery love affair has kept your pulse pounding week after week for the past eight seasons. 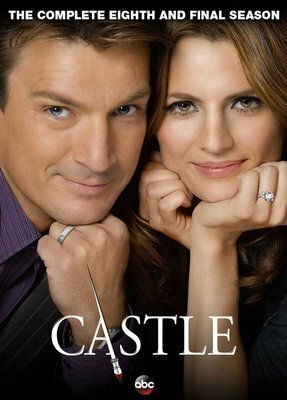 Now, the heartfelt final chapter of Rick Castle and Kate Beckett comes to an end as one of the most beloved couples in television history match wits with their ultimate rival in a fight that will define their future. The season begins with a bang as a call from a mysterious stranger puts Beckett on the run and sets off an explosive chain of events. The action heats up when Castle's daughter, Alexis, joins her father to solve the case of a lifetime. Fresh faces and unforgettable characters from the past join the precinct in a year full of devastating twists and turns. It all leads to the stunning series finale that will keep you on the edge of your seat and close the book on the incredible story of Castle and Beckett.